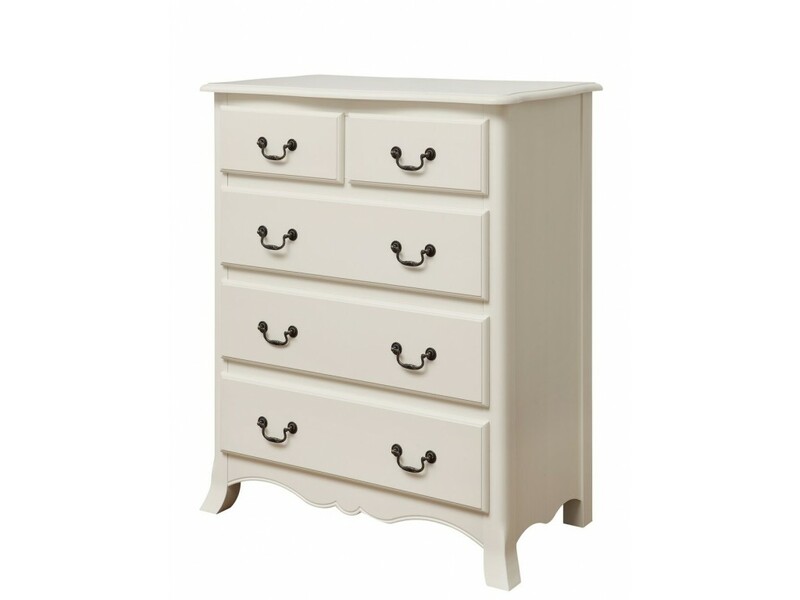 The Chantilly 3+2 Bedroom Chest of Drawers has a stylish and traditional French style design, which brings an elegant and glamorous feel to your bedroom. 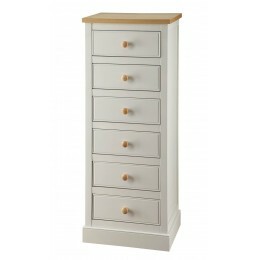 Finished in an attractive and antique off-white and black metal handles adding the fine details to this beautiful range of furniture. 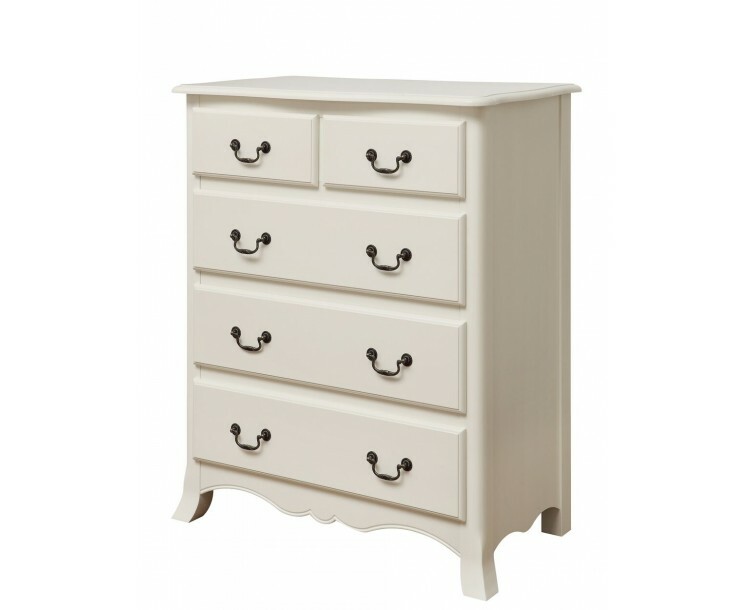 The Chest of Drawers comes with 3 large and 2 smaller drawers for maximum storage. 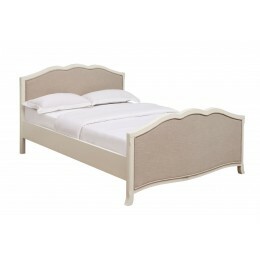 The entire Chantilly range is made from high quality MDF materials. 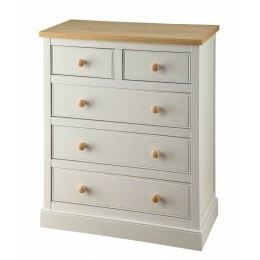 Please note that delivery timescale will take 5-10 working days.